Typical PCW applications include support mats in catalytic converters and diesel particulate filters. Polycrystalline Wools (PCWs) are made predominantly of aluminum (content typically 72-99% in the form of oxide) with the remainder consisting of silicon. The fibres are manufactured by sol-gel technology using gel extrusion, spinning and/or drawing in controlled air streams, using equipment/processes specifically designed to produce fibres of defined dimensions. These are then subjected to high-temperature treatment to produce the required polycrystalline structure. 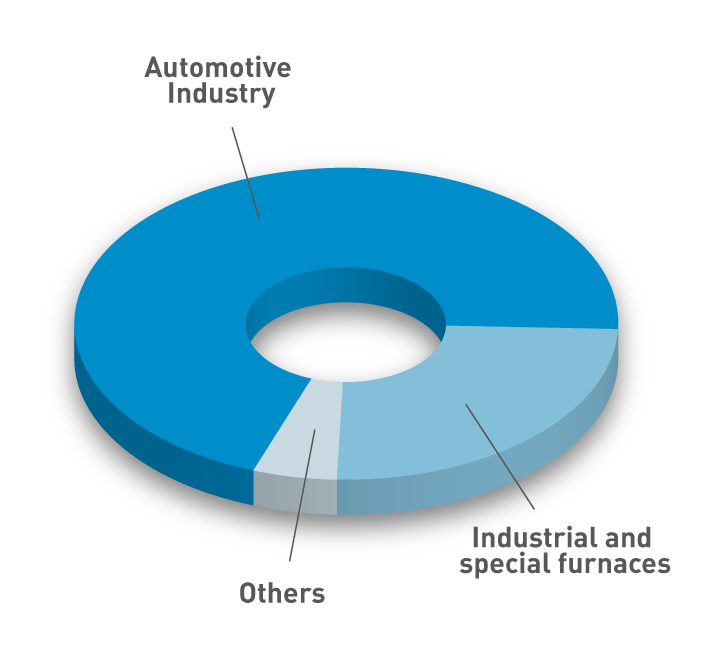 It is these defining characteristics that have resulted in PCWs being used in the most demanding of thermo/ mechanical applications, for example in the ceramics, metals, petrochemicals, aerospace and automotive industry sectors. Typical PCW applications include use as support mats in catalytic converters and diesel particulate filters to reduce exhaust emissions, and as insulation in industrial high temperature furnaces for energy conservation, particularly in high temperature and/or chemically aggressive environments . PCWs are not classified in the EU. In Germany, under TRGS 905 providing technical guidance on worker protection, supplementing or extending Annex 1 of EU Directive 67/548, fibrous dusts emanating from the handling of “ other inorganic types of WHO fibre dusts” not listed elsewhere, including PCW dust, are classified as Category K2: „… cause concern for man owing to possible carcinogenic effects but in respect of which the available information is not adequate for making a satisfactory assessment …” Although the TRGSs are not laws they are technical rules/recommendations that have a quasi-legal status. PCW was registered before the first deadline of 1 December 2010 and can therefore be used in the European market. Care should be taken to minimise generating workplace dusts when handling any High Temperature Insulation Wool (HTIW) product. Read more on the current European (and German) classification status of these products.